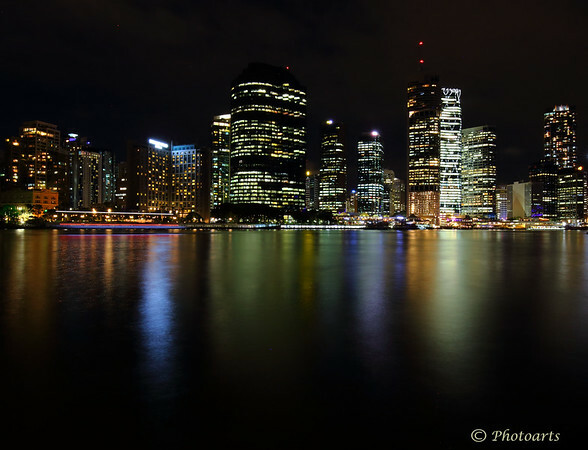 Reflections from downtown buildings dance on the river in this beautiful city on the east coast of Australia. Gorgeous! The lights are so smooth over the water.